While the micro management model of the Packers’ franchise and the macro management model of the NFL should rightly be praised, the influence of player unions in US sport should also be celebrated, writes Ruwan Subasinghe. Martin Tiedemann brilliantly extolled the virtues of the Green Bay Packers’ democratic and transparent ownership model on these pages last month, and over on Next Left, Sunder Katwala’s excellent piece on “America’s sporting socialism” highlighted the use of the ‘draft’ system to narrow wealth inequalities between teams. While the micro management model of the Packers’ franchise and the macro management model of the NFL should rightly be praised, the influence of player unions in US sport should also be celebrated. The often fractious relationships between club owners and player unions have led to some famous fallouts over the years. In a country where trade union density stands at 12% (8% in the private sector), the player unions’ industrial and political clout is somewhat of an anomaly. The players of the top four US sports leagues (NFL, NBA, NHL and the MLB) are all represented by strong and gutsy unions. 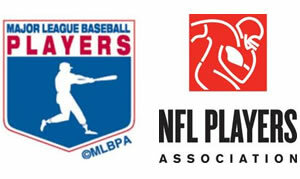 The Major League Baseball Players’ Association were the first professional sports union in US history to negotiate a collective bargaining agreement back in 1968. Since then, they’ve been involved in some notorious labour disputes including the 1972, 1981 and 1994 strikes over issues varying from free agency to salary caps. The NBA Players’ Association has also been involved in some infamous labour conflicts including a lockout which cost the league 200 days of playing time. Similarly, in perhaps the most significant professional sports labour dispute in history, the entire 2004/5 NHL hockey season was cancelled due to a disagreement over salary caps. America’s most popular sport has also had to face severe disruptions over the years due to strikes and lockouts. In fact, with negotiations over the collective agreement between the NFL Players’ Association and owners breaking down last Friday, the league could possibly be witnessing its most noteworthy industrial clash to date. The dispute is primarily over the proportion of NFL revenue allocated to players, the owners claiming that players are getting too much of it. This sensational row has gripped the nation and both sides have been engaged in a fierce media battle. CBS even refused to run the union’s commercial in order to stay ‘neutral’ in the dispute. As it stands, the NFLPA has voted to decertify their status as a trade union in order to allow individual players to bring antitrust lawsuits against the league. One of the most fascinating aspects of this dispute is that it is unfolding contemporaneously with the events in Wisconsin. While the nature of the two disputes could not be more different, the tremendous amount of solidarity offered by NFLPA members to their union colleagues in Wisconsin is simply staggering. At a time when US cable networks like Fox News are openly attacking public sector unions, the pro football players’ influence cannot be underestimated. Will the voices of America’s most revered athletes fall on deaf ears or will they help garner further solidarity support? While the effects are still to be seen, one can only wonder what would happen if the likes of Wayne Rooney, Kevin Pietersen or Jonny Wilkinson stood up for public sector workers in this country. While the English and Welsh Professional Footballers’ Association is affiliated to the United Campaign to Repeal the Anti-Trade Union Laws, it has not even come close to supporting public sector workers fighting the government’s cuts agenda. The PFA and other British sporting unions should be taught a lesson in solidarity by the NFLPA. Perhaps then we can adopt our own version of sporting socialism – and see the likes of John Terry on a picket line. It is corporatism, not socialism. The teams are privately owned.